Recently, the Sons attained an all-time high national membership of over 287,000. Just as each Legion post determines the extent of its service to the community, state, and nation, each S.A.L. squadron is permitted flexibility in planning programs and activities to meet its own needs. The S.A.L. has study programs recommended for younger members. One such program, called “The Ten Ideals”, teaches the elements of patriotism, health, knowledge, training, honor, faith, helpfulness, courtesy, reverence, and comradeship. If a member completes the Ten Ideals program, he is eligible to continue with another program called the “Five-Point Program of Service”. This program covers patriotism, citizenship, discipline, leadership, and more. Sons focus on much more than just membership. 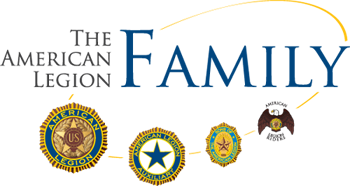 At all levels, Sons support The American Legion in promoting a wide variety of programs. Sons assist their posts in other activities such as veterans programs, Veterans Administration home, and hospital volunteerism, youth projects, and fundraising. In just the past ten years, Sons have raised more than a million dollars for The American Legion Child Welfare Foundation. In 2004, S.A.L. members volunteered over 211,150 hours in 2004 in Veterans Hospitals throughout the country and raised over $1,454,000 that has gone directly to VA hospitals and VA homes for a variety of items including TVs, radios, medical equipment, and clothing for the patients.